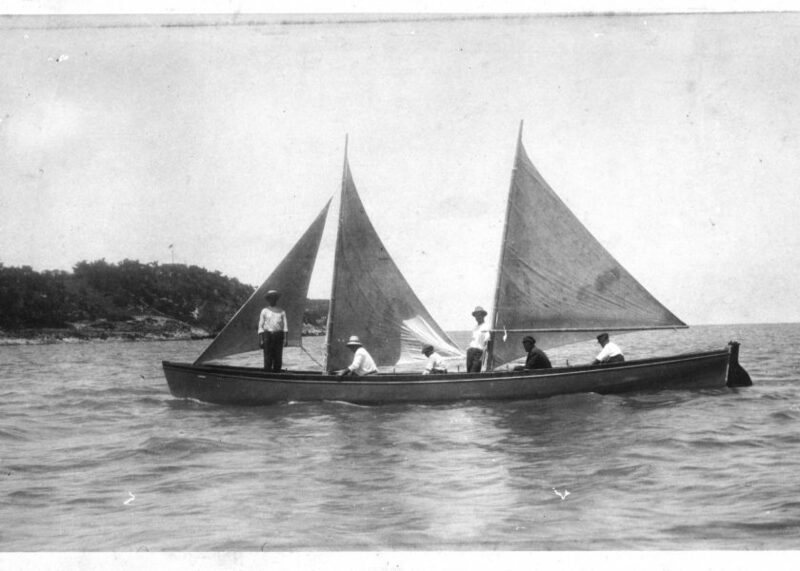 Asked to name the vessel that anchors Bermuda’s maritime history most would, justifiably, point to the Sloop, however, the local Pilot Gig was another innovative and uniquely Bermudian craft that played a vital role in Bermuda’s history. 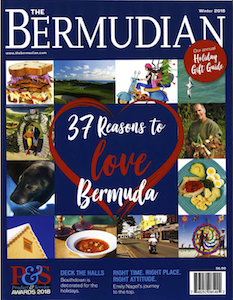 While the Sloop gave Bermudians access to the world, it is the Pilot Gig, and the crews that ran them, that allowed the world to come to Bermuda. 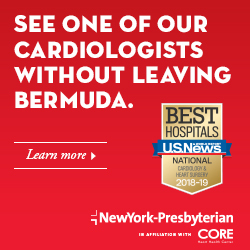 For centuries, ships approaching Bermuda were met by the sight of several onrushing Pilot Gigs locked in a grueling and often dangerous race to deliver a qualified pilot to the deck of the ship. That team would thus earn a piloting fee for safely delivering the ship through Bermuda’s treacherous reefs. 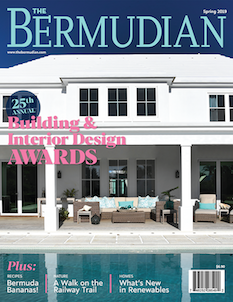 The industry seems to have emerged naturally from Bermuda’s seafaring people who, aboard their sleek and maneuverable row/sailboats, were regularly engaged in fishing, whaling, wreck rescues and salvage, transportation and even some recreational racing. The crews onboard these local boats were primarily enslaved black people who were clearly skilled mariners, with the pilots recognised as particular masters of the sea. Perhaps the most famous Bermuda pilot was James “Jemmy” Darrell, who on May 17, 1795, piloted Rear Admiral George Murray’s 74-gun ship HMS Resolution into a deep anchorage, now known as Murray’s Anchorage, near Tobacco Bay in St. George’s. So impressed was Admiral Murray that he wrote to Bermuda’s governor asking that Darrell be freed from slavery, which he was. Darrell, amongst a lifetime of achievements and influence, went on to become a King’s Pilot, which meant he was responsible to delivering British Naval ships into Bermuda. Post slavery black Bermudians continued to dominate the Pilot Gig industry, and it was a hard earned living. Thirty-two feet long and often no wider than five feet, Gigs were built for speed, not stability, and required deft teamwork to succeed on the open ocean. Locally built, they sported two or three stayless spars with triangular mainsails and a jib, i.e. the Bermuda Rig. They were rowed, by six to eight oarsmen, to windward, sailed in a following breeze and helmed by the pilot himself. One can only surmise that the men operating these boats were hard. Hands like vice-grips wrapped around the handles of 12 to 16 foot ‘sweeps’ powered by a full body exertion that could last hours. In a diary kept by Albert A. Outerbridge he described the mesmerizing scene of three Gigs racing to meet the ship he was aboard. This action took place eight miles offshore, in January, 1868. Later, with the advent of the Marconi tower and radio transmissions, there are stories of Gigs racing 30, 40 and even 50 miles offshore in search of the piloting fee. Of course all of this involved risk to life and limb and crews were sometimes lost at sea. One of the more renowned tales is of the crew of the Ocean Queen who disappeared in stormy seas on January 27, 1927. The boat appeared, capsized, several days later off Elbow Beach but the lives of Edgar Smith, Goulrich Richardson, George Brangman, Robert Gibbons and Ernest Tucker were lost forever. Fredrick W. Keith, in a fascinating article written in 1938 for Motor Boating magazine, described the relationship the crew of the Ocean Queen, and other Pilot Gig teams, would have shared. He reported that the government had little jurisdiction over the piloting business other than to “designate” pilots (how this was done was not explained). The Gigs were funded by the team of mariners that ran the boat with the fees divvied-up according to a prescribed formula in which the pilot received a larger share and money was set aside for boat maintenance and repair. Keith wrote that there was also an etiquette amongst the Gig crews. For instance, a share in a pilot boat was for life and meant an oarsman or pilot could only ride in that boat. When the call went out that a ship had been sighted a running race to the boat often ensued and being first to grab an oar ensured a seat on that chase. In this case either a seat or a share might be put aside for the watchman who was at the disadvantage of being up the watchtower when the foot race began. Apparently, it was also acceptable to “steal” a rival Gig as long as it was returned in good condition. The theft was, however, thwarted if the any of the rival team put a hand on the gunwhale before the Gig left the shore. (The author does note that this practice was not common). This system was in effect for independent Gig teams for almost a century when, according to Keith’s article, the government made a decision to centralise the service, effectively ending one of Bermuda’s most adventurous and enterprising ways of life. A Pilotage Authority was formed and led by a British naval officer. Qualified pilots were required to re-examine and many licenses were revoked. Keith reported that of the 60 active oarsmen only a few were retained and that the government bought the gigs and put the crews on salary. Understandably there were protests in which gigs were burned but the new system took hold. Larger ketches (sailboats) and ultimately motorised pilot boats replacing the gigs. It is said that the old-timers referred to these diesel-powered craft as “Stink Boats”. Yet a vestige of the pilot legacy remains today, no foreign ship can enter Bermuda waters without taking onboard a pilot. In 2015, the Bermuda Pilot Gig Club was formed to highlight Bermuda’s maritime heritage and promote the sport of Gig racing. The club now operates several of the traditionally designed Gigs and has participated in and hosted international regattas. Appropriately the Club’s Gigs are named after some of Bermuda’s most renowned and accomplished pilots.